The content of Garlic can reduce cholesterol levels, so it is recommended to cook using Garlic to balance the levels of oil that enters the body. The benefits of garlic are able to increase good cholesterol levels while reducing levels of bad cholesterol in the body if consumed in ripe or raw conditions. Garlic is also very important in keeping the body from suffering from cholesterol. Polysulfide substances in garlic are proven to be useful for controlling blood pressure for people with hypertension. Garlic helps dilate and open blood vessels so that they don't get too much pressure. No wonder if eating garlic regularly for three months turned out to reduce blood pressure up to 10 mmHg. This is very good for people who have hypertension, or high blood pressure. Garlic contains bioactive sulfur compounds, compounds that can prevent the formation of cancer cells in the body. This is because bioactive sulfur serves to repair or kill damaged body cells, protect the body from carcinogens, and inhibit the spread of unhealthy cells. We recommend that you consume Raw or half-cooked Garlic so that the Bioactive content is not lost. Because if cooked too well, the nutrients in garlic will decrease. It is not easy to keep the skin on the face, because pimples often appear on the face. To overcome this problem it turned out it could be with Garlic. Can help fight inflammation thanks to its natural chemical called allicin. The content of allicin in garlic can kill many viruses and harmful bacteria in the body that cause acne. This is very useful for preventing and overcoming Acne by Natural methods without Side Effects. 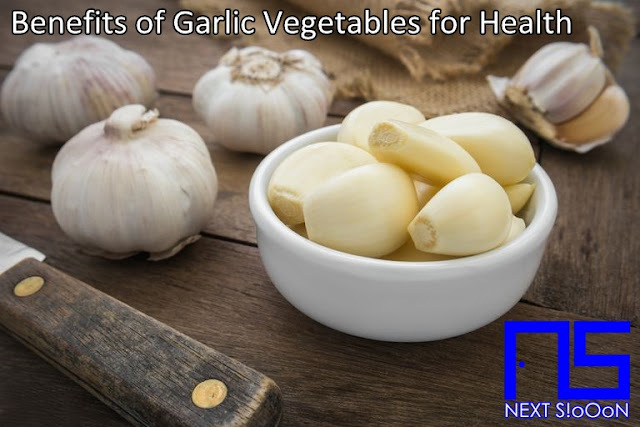 Various common ailments like Infection, Flu, Inflammation, Colds can be relieved by eating Garlic. 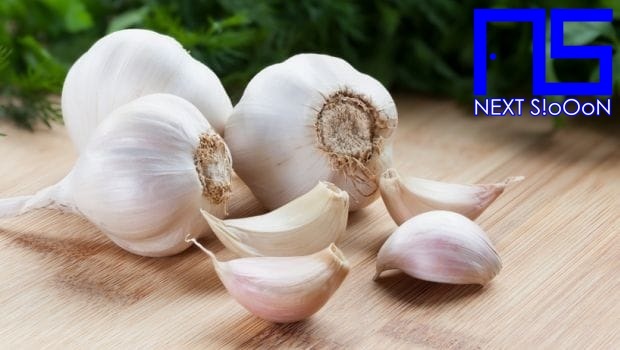 Allicin active compounds found in garlic have antiviral, antimicrobial and antifungal functions that are effective in killing various organisms that can cause disease. In addition, it can maintain the condition of the body to stay fit and healthy. Alopecia or baldness is caused by autoimmune diseases, and raw garlic can help you strengthen and encourage hair growth on the scalp. Some people even put garlic gel on their heads to prevent baldness. The content of Garlic can strengthen the hair roots so it does not fall out easily. Do not let hair become bald because of brittle hair and loss. That is the benefit of Garlic Vegetables in the body, hopefully it is useful. See also the benefits of other vegetables for health. Thank you for visiting Next-Siooon (NS). Keyword: Garlic Vegetables, What Is Garlic Vegetables, Understanding Garlic Vegetables, Explanation of Garlic Vegetables, Benefits of Garlic Vegetables for Health, Benefits of Garlic Vegetables for the Body, Nutrition of Garlic Vegetables, Vitamins for Garlic Vegetables, Vitamins and Garlic Vegetables Nutrition for Body Health, Get a Healthy Body with Garlic Vegetables, Information about Garlic Vegetables, Complete Info about Garlic Vegetables, Information About Garlic Vegetables, How the Nutrition of Vitamin Garlic Vegetables is, What are the Benefits of Garlic Vegetables for the Body, What are the Benefits of Garlic Vegetables for Health, the Benefits of Garlic Vegetables for Humans, the Nutrition Content of Garlic Vegetables provides many benefits for body health.